And My Pen Name Was Once CASSANDRA – EVA LA ESCRITORA – "Follow a Writer's Dream." 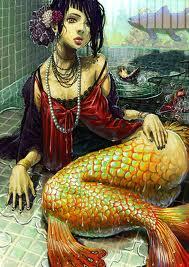 Cassandra the mermaid-gypsy, lifted her colorful long skirt, to cross over the overflowed river, showing off her newlong tanned legs that were kissed by the fishes that jumped from the river and all over her legs and feet, as she step quickly over the pointy uneven rocks and wet slippery logs. And the wind lited her skirt some more and played with her hairlocks laughing mischievously as it whispered to her funny and fresh nonsense to her ears. And she submissively danced for the suns, the winds, and the frogs too. Ah, how much he loved the Sun’s son, the Wind of the East. He adored his muse, the unique mermaid-gypsy Cassandra. He loved to rest his white as cloud hair over her bared breasts, messing with the silky and soft fabric of her corset and skirt, soft as the wind itself and sheer as a tulle. And she let him be. He was her lover and her owner. Nothing he did was wrong. She laughed, and laughed, kicking her feet at the small rock pebbles and the fishes that were again kissing her legs and letting her pet them as she sang joining the wind’s melodic voice sing a romancero, a poem turn to song. incite them to do evil? you say, It was her lightness what did the diligence. believe the shorty ‘dam that made a bogeyman of you. until she trips and fall, to never more be found. Only but her colorful yellow, red and white skirt return to the the other side of the river. The sad fish, the humanlike frogs, the fishermen and housewives in town, even the regular people in town day and night desperate called her name through the mouth of the dam and the river. Donde has hido; donde estara ella? No one new her real name, she was just the new gypsy girl in town, only the wind knew she’d gone far East, and then far South, looking for some Sunshine and new waters to swim in. He asked the frogs and the southern gators and dolphins to watch after her. Even the gecos were sent to look after her and write to her letters, poems, and songs, that the wind couldn’t. And she always wrote him back, even when there were times that didn’t knew it was her. And her pen name was once Cassandra, even though he now calls her Lola. And one day as she sang her song, a young fisherman came to her and asked her her name. 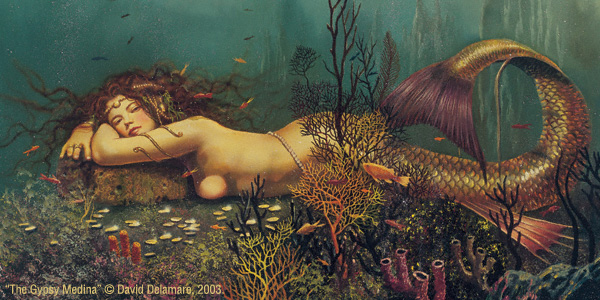 But when he asked her her name she laughed swimming away but this time with the body of a mermaid…. Previous Post Grieving Father Wants to See His Sons Facebook Pictures One More Time.